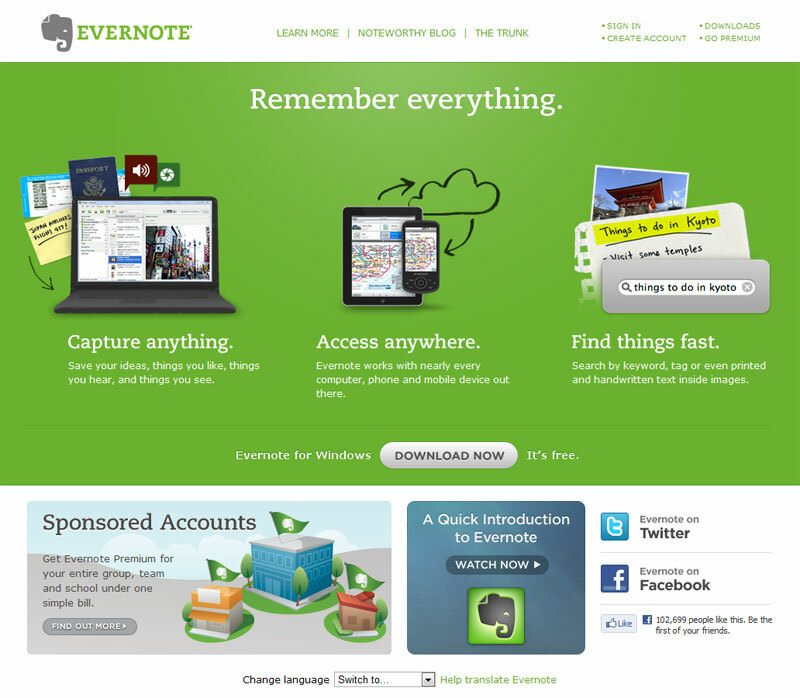 I have been using Evernote for more than a month now and it's been great! Evernote is an online service that enables you to save web pages, or sections of pages, or urls, make notes, include photos... bits of information you need to hold on to. Needless to say, it's great when you have a bunch of research to do. You need to download the application, and the Evernote app will then reside at your Windows taskbar (there's a version for the Mac too). A big plus for using Evernote is that you can sync it with your mobile phone or your tablet, making your research work portable without having to drag a bunch of paper around (great for the environment!). If you find yourself bookmarking lots of stuff, you will find Evernote very useful. Even just the free version (which I have) is very useful. The Pro version gives you higher limits per month, as well as fancier ways to deal with PDFs (all the features are listed in the website), but if you're starting with the service, Evernote's free edition is already loads useful by itself.